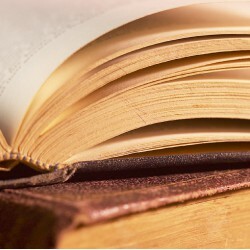 If you ever come across a newspaper headline or a book title with a question in it, the answer is almost always no. This certainly applies to Mathematics: Is God Silent?. Well, that's what James Nickel wants you to believe. 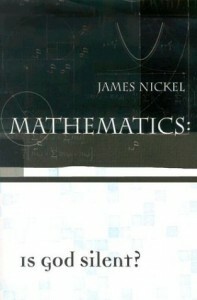 Throughout this book, Nickel tries to show that mathematics can be taught from a Biblical perspective. The real question I have about this book, however, is not whether God is silent; it's why teaching mathematics Biblically is worth discussing in the first place. I think boredom may be the largest contributing factor to society's general dislike of mathematics. People don't like math, they think it's a series of dull calculations better suited for a computer, and they don't understand how and why math applies to the real world. This is a pedagogical problem with a catch: I don't see how adding God to the equation could possibly make people like math more. Picture this: a prof is transcribing a Diophantine equation on the blackboard and droning on about Fermat or something. Then she says "... and this is just another example of God's beautiful creation." The problem? The aside doesn't really have anything to do with mathematics. Sure, that statement might ring true if you believe in a God, but it's still an editorialized, amathematical statement. God might be a mathematician, and the Holy Trinity might be best visualized using Cantor's set theory (that part of the book was pretty cool), but that doesn't mean that we ought to litter elementary math textbooks with references to the stuff. I just can't see how this would work in an environment not completely saturated by religion. It certainly wouldn't fly in a public school; that's for sure. Nickel's ideas are thus restricted to home-schooling or religious classroom scenarios. An interesting idea perhaps, but not one I'd double down on. Is throwing God in the mix the best way to get children excited about mathematics? I don't think so, but to be fair I can't come up with a better idea off the top of my head. Something worth thinking about.